McKinney, TX – August 14, 2018 – As we navigate through 2018’s 3rd quarter, HISUN Motors Corp., USA is witnessing 100% year-over-year growth in unit sales. HISUN credits the tremendous growth to an established dealer network that has seen the addition of 60 new dealers since the beginning of 2018. With the strongest first quarter in company history in the rearview, HISUN is on course to have yet another record-breaking quarter with 2018’s Q3. Dave Ballard, founder of Ballard Golf Cars & Power Sports said, “The nice thing about the HISUN product is the dealer margin compared to other manufacturers.” Ballard Golf Cars and Power Sports is a family owned business and has seen benefit from HISUN’s exceptional margins. Ballard Golf Cars and Power Sports, a dealer since 2015, has thrived as a HISUN dealer with a strong focus on customer service and after-sales support. 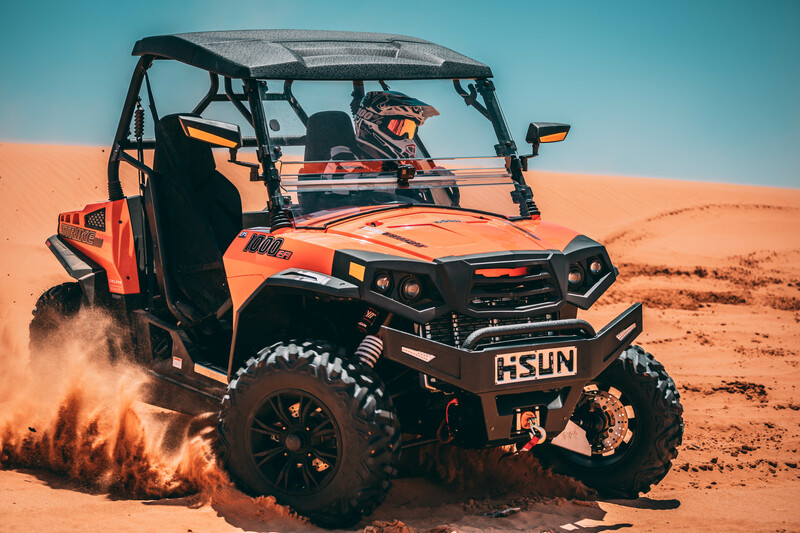 As HISUN continues to branch out and expand their dealer network, strong dealerships such as Ballard Golf Cars and Power Sports, Moto El Paso and King Cotton Auto Group, and many others, help fuel the dramatic growth and propel HISUN into an industry leader. With the release of 2019 models just around the corner, HISUN Motors is focused on the bigger picture of continuing to grow their business the remainder of 2018. Along with its monumental growth, HISUN prides itself on delivering a superior product and unparalleled customer service. 2019 HISUN. All rights reserved.